You are probably watching this video right now on social media. I know I’m sharing it on social media so it makes sense that you see it on social media. 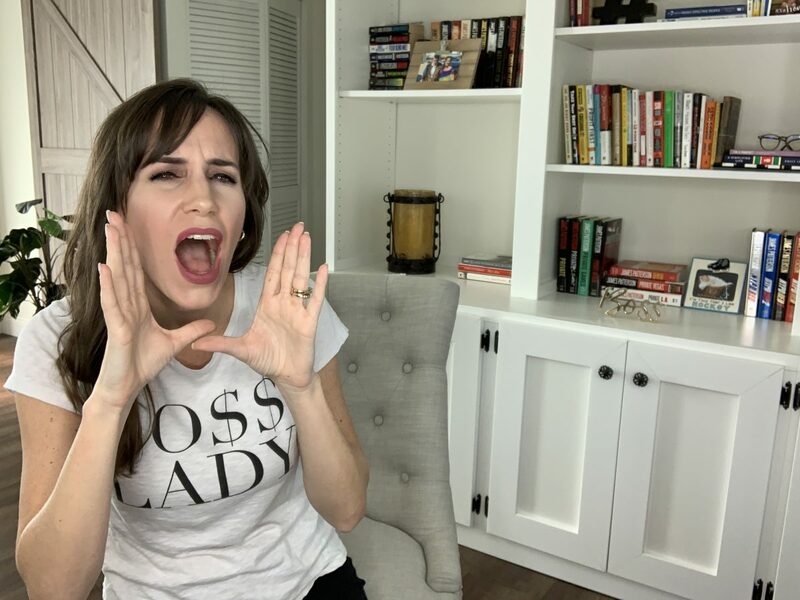 In this video, I am talking about oversharing on social media when it’s good for your brand and when it is bad for your brand. If you want to earn more media exposure without spending any money on ads and make sure you subscribe to this channel, I post videos just like this one every single Thursday. Hi, I’m Christina Nicholson and I help people all over the world earn big-time media exposure without spending any money on ads. Obviously, social media plays a big part in that. I am going to break down the do’s and don’ts of oversharing on social media – when it’s good for your brand and when it is bad for your brand. So let’s get right into the don’ts shall we? 1. Don’t post on social media when you are feeling emotional. People say things when they’re heated that they wish they could take back. And let me tell you, when you put something online, yes you can go and delete it, but that is not taking it back because we all have those buttons and those apps and we can click and tap things that take a screen grab of that thing that you posted when you were feeling emotional and it may come back to haunt you. So instead take a step back, take a few hours, and then when you are feeling less emotional and you’re thinking more with your head than your heart, then you can post how you feel. Plus it’s nice to have that extra time so you can actually think of wording things so they sound best for you and your brand. Okay, this is a video, so this is a little different. You can read my tone because you’re hearing my voice. You’re actually using all of your senses to see what I’m saying and how I’m saying it. But when it comes to text, people really read tone a lot and when they are taking in that tone it’s from their perspective and not the person who wrote it. The only time I think you could ever read tone is if someone types in all caps or they use like 10 question marks in 10 exclamation points. But other than that, you don’t know the tone of what somebody is writing in. You just know the tone of what you’re reading in. So this is a rule of thumb. Read everything with a Minnie Mouse voice because if you read it with a Minnie Mouse voice, then you are reading it in a nice way. But if you read it like with an attitude like this, then you think the person who wrote it is writing it with an attitude like this. And that could just not be the case. I know I’ve been on both sides of this. Somebody read an email from me once and they responded saying, I sounded defensive and I’m like, what? I did not write that in a defensive way at all. Maybe you’re reading it in a defensive way cause you’re feeling defensive right now. So just don’t read tone in text unless it’s in all camps and 10 question marks and exclamation points. Okay, so now I want to know in the comments, tell me what do you do when you read something online and it gets a rise out of you? Like what do you do now? I read it into Minnie Mouse voice, but before I would get a rise and I would respond. But I want to know what you do when you read something online and it gets a rise out of you. What do you do? Because we all know that sometimes we go to certain pages and we get in the comment section just to read the comments, right? Like we’ve all seen that GIF with Michael Jackson in Thriller eating the popcorn in the comment section. I’ll admit I did that recently with Tristan Thompson, with Khloe Kardashian, with Kylie Jenner, and with Jordyn Woods. I was all up in the comment section because I want it to read the comments. So what do you do when people get a rise out of you on social media? Let me know in the comments. Okay, let’s go to the do’s. Now we know what not to do. Let’s talk about what we should do on social media when it comes to oversharing. 3. Do be ready for negativity. You’re putting yourself out there. You’re sharing your vision, you’re sharing your dreams, you’re sharing what you’re doing day to day – whatever you’re sharing on social media, obviously this depends on your brand and your niche, but you’re putting yourself out there and whenever anybody puts themselves out there, there’s going to be haters, and this is okay. Haters are a sign of success. Every successful person has haters, so if you have haters, be happy. Be grateful because it means you’re actually making an impact, but don’t get offended. People wake up today just waiting to be offended by something and go off in the comments, so you just have to prepare yourself for that. Don’t take it personally. It’s a reflection of them, not a reflection of you, but prepare for it. You have to prepare for the negativity because it’s going to happen if you’re posting on social media. 4. Do protect your privacy. I very rarely post in real time on social media. Why? Because I know there are a lot of crazy people in this world and they don’t need to be knowing where I am all the time when I’m posting. So a lot of the time, I’ll take pictures and I’ll plan to post it and I’ll post it maybe an hour or two later when I am no longer in that location. And this is good for two reasons. Two: You actually have time to think about your post and craft your content so it looks a little bit better because you’re focusing more on the actual content and not just getting something out quickly. Plus you are protecting your privacy. I mean, we’ve all heard, don’t post on social media when you’re going on vacation and letting everybody know that your house is going to be empty. Same idea. If you have not already. I want you to head to PitchPublicityProfit.com. This is free access to my three-day media class where I teach you how to pitch the media to earn publicity and turn it into profit. And that third part, turning the publicity and to profit, social media plays a huge role in that and I’m going to show you exactly what to do to turn that publicity into profit by using social media and sharing exactly what you should be sharing to see that ROI. And this is actually the most forgotten or most neglected thing that people do after they earn publicity… and it’s too bad because it’s where you see the most ROI. So head to PitchPublicityProfit.com to get access to that three-day media class. And if you liked this video, make sure to give it a thumbs up and subscribe. I post videos just like this one every Thursday, and please don’t forget, I really want to know in the comments what you do online when people get a rise out of you. Like, I’m going to be in the comment section with my popcorn reading it.